Although sometimes art is meant to stress its detachment from the reality, hyperrealism practically erases this line. 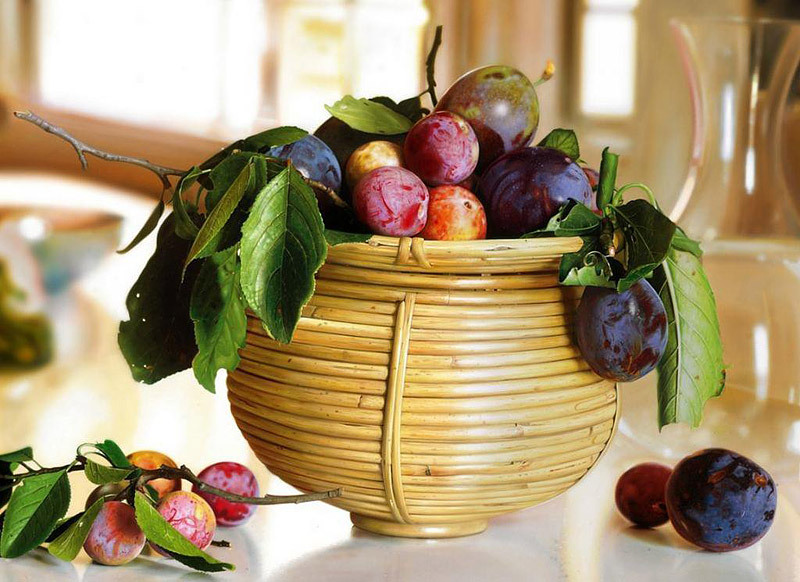 Pictures created by hyperrealist artists, will look no different from a high resolution picture, making it hard to believe this was created using such regular tools as pencils or ballpoint pens. Hyperrealistic images are typically 10 to 20 times the size of the original photographic reference source, yet retain an extremely high resolution in color, precision and detail. Many of the paintings are achieved with an airbrush, using acrylics, oils or a combination of both. Joongwon Charles Jeong’s paintings are so intricate many people mistake them for photos. He paints with such delicate brush strokes he can detail every pore of his subjects. The artist, who hails from South Korea and studied Visual Communication Design at the Hongik University of Fine Art & Design in Seoul, also teaches keen young artists some of the tricks of his trade. 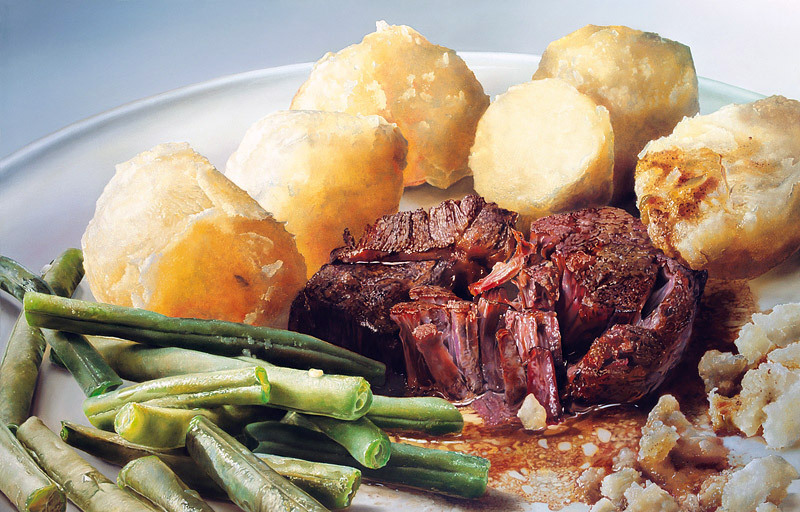 The food in this image looks good enough to eat, doesn’t it? The oil painting above is the work of Dutch artist Tjalf Sparnaay, who creates delicious-looking representations of everyday food. The 61-year-old is regarded as one of the most important painters in the international Hyperrealism art movement and has been working on his Mega Realism series since 1987. Prices for original works range from €17,500 (£13,200) to over €120,000 (£90,000) and are dependent on size. 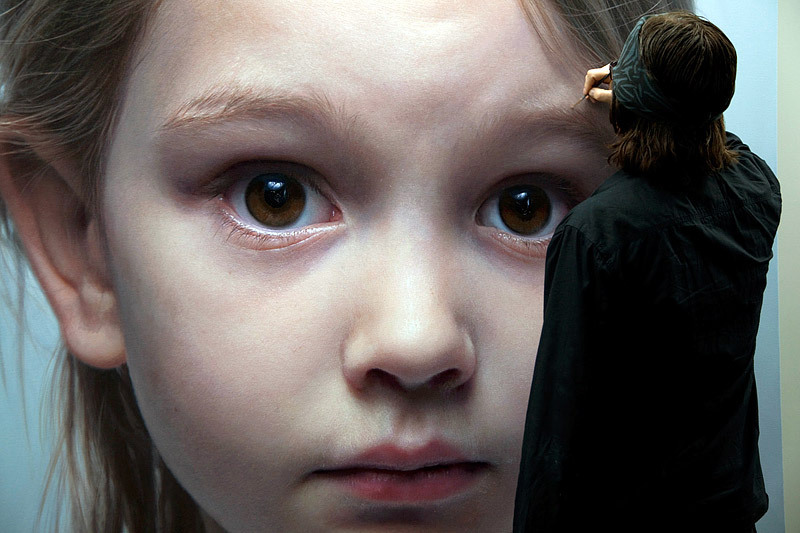 Gottfried Helnwein is an Austrian-Irish visual artist who has worked as a painter, draftsman, photographer, muralist, sculptor, and installation and performance artist, using a wide variety of techniques and media. Helnwein is concerned primarily with psychological and sociological anxiety, historical issues and political topics. As a result of this, his work is often considered provocative and controversial. His paintings walk the line between upsetting and beautiful but are always provocative. 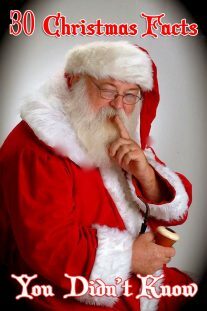 While his subject matter isn’t for everyone (it usually revolves around violence and children), his skills with a brush are undeniable. Plus he paints with sunglasses on. How badass is that? Roberto Bernardi, 40, spends up to a month painstakingly creating each of his visual masterpieces. The artist from Todi, Italy started to paint at a very young age, and his first works in oils date back to the early 1980s. He dedicated his studies to the learning of pictorial techniques that would have a significant influence on his artistic formation. 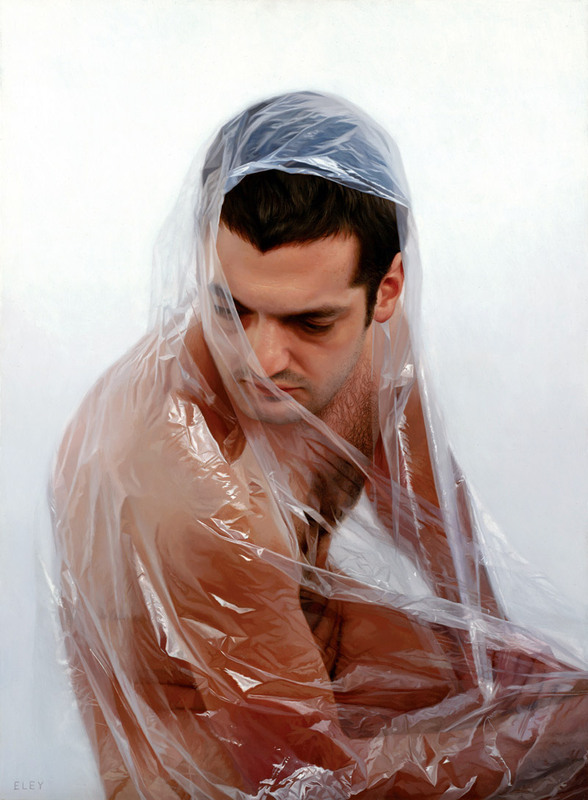 After an initial foray into landscapes and portraiture, Bernardi turned towards Hyperrealism. His work, which sells for between $20,000 and $125,000, is available through the Bernarducci Meisel Gallery in New York. 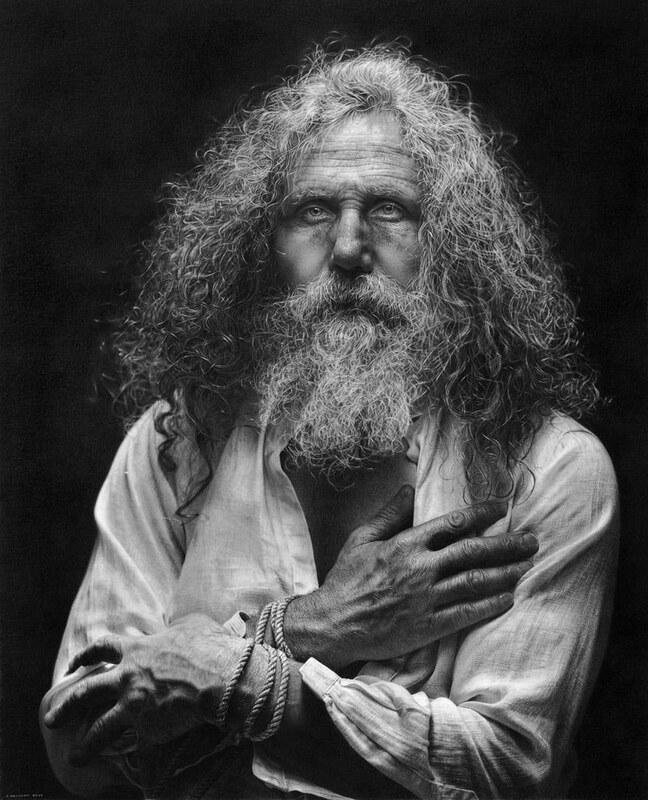 Emanuele Dascanio’s incredibly realistic graphite pencil and charcoal portraits vibrate with spirituality, emotion, and energy. His masterful application of this medium, combined with a deep connection to the subject, results in images that fool the eye into thinking the objects are real. Dascanio was born in Garbagnate Milanese in 1983. After graduating from art school, he worked alone for five years, then was an assistant to the famous Italian painter Gianluca Corona. Corona taught the young artist the oil techniques of the great old masters of the Renaissance. Dascanio has since won prizes for his paintings in northern Italy, including the prestigious national painting prize—Le Segrete Di Bocca. The Christlike subject of the portrait above is actually Dascanio’s father. When you find out that the works of Robin Eley are oil paintings and not photos, you immediately go back to have another look. As hard as it is to paint people in such a realistic manner, Robin also “wraps” his models into plastic, which makes his art all the more impressive. 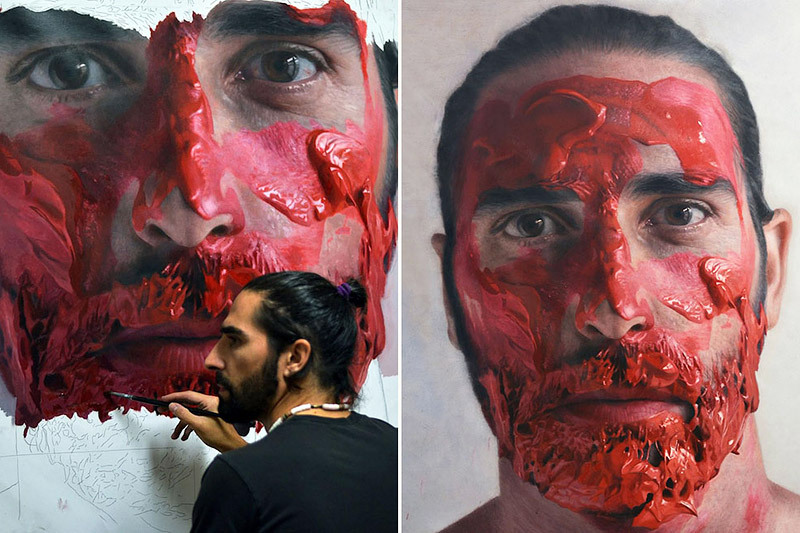 The painting above looks like the aftermath of an explosion in a paint factory, but it is the stunning work of renowned Spanish hyperrealistic painter Eloy Morales. The effort that goes into his paintings means that each takes around a month to complete, with the artist working eight-hour days in his studio. 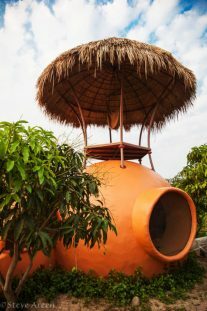 Morales, 40, has exhibited his art around the globe from Spain, Italy, and France, to England, Mexico, and New York. Artist Diego Fazio (also known online as DiegoKoi) can do some incredible things with a pencil. 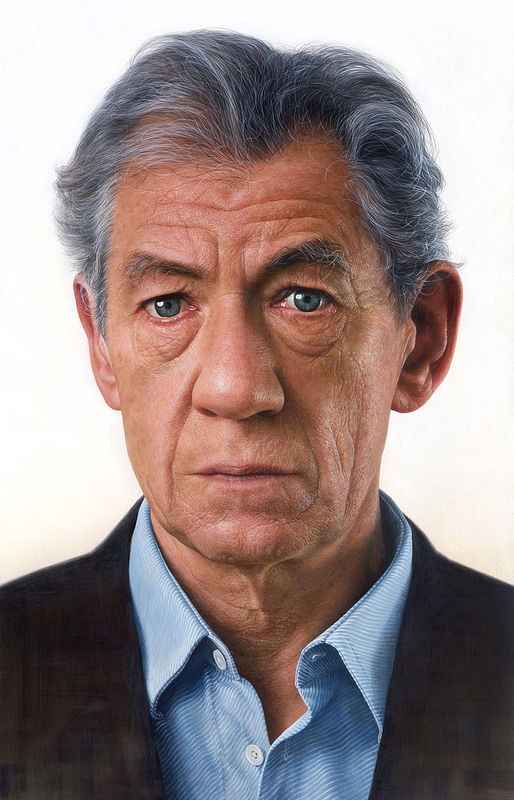 His hyperrealistic portraits are so lifelike they are often confused with black and white photographs. Born in 1989 in Lamezia, Italy, this emerging talent is self-taught. 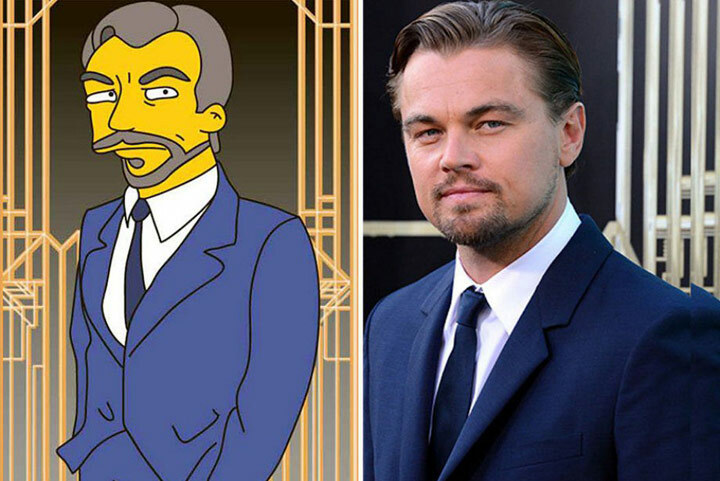 He only began drawing in 2007 but has already won numerous awards. This hyperrealistic image was created with an iPad! That’s right—it’s a finger painting. 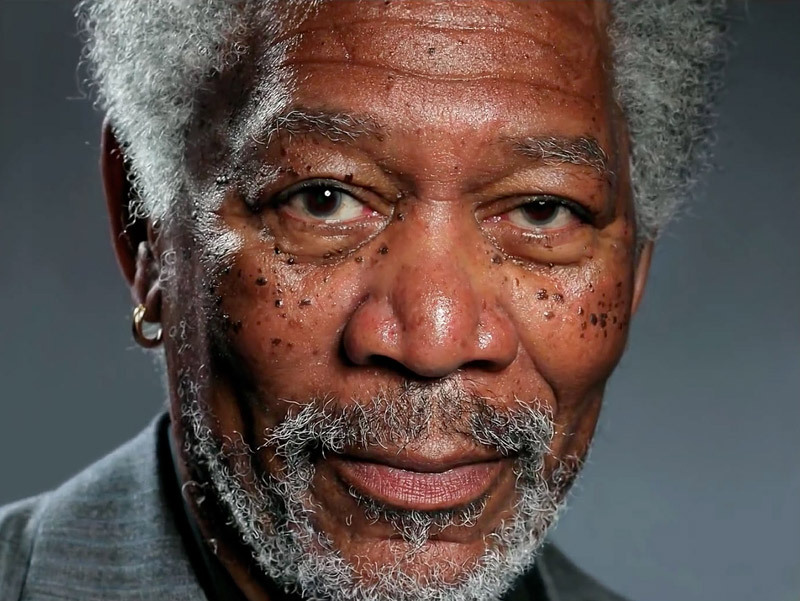 Artist Kyle Lambert said that it took him a month to create his stunning portrait of actor Morgan Freeman. He used the iPad app Procreate to put together his masterpiece. The British-born artist spent over 200 hours and made over 285,000 brushstrokes, a process that he documented in a transfixing time lapse video. 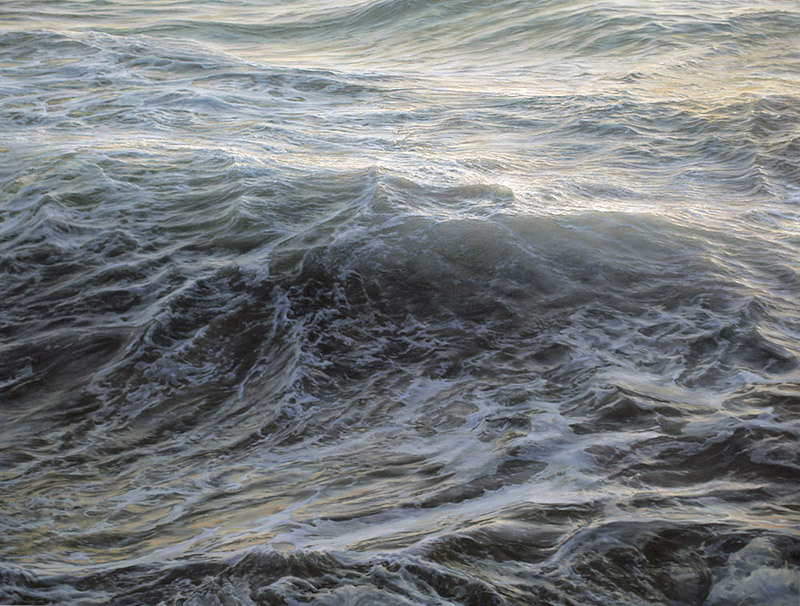 Ran Ortner’s work consists of paintings of the ocean on canvases that are as much as eight feet tall and thirty-two feet wide. They show no land, sky, boats, figures, or other reference points. To get such realistic looking waves, Ortner insists on using old-fashioned lead white, because of its superior translucency. He mixes it himself, using oxidized lead and walnut oil that he’s cooked on low heat for three days. His other colors—grays, blues, and greens but also vermilions and umbers—are derived the old-fashioned way too, from minerals combined with oils of linseed, poppy seed, or walnut. In October 2009, Ortner won the first ArtPrize, a now annual competition founded by entrepreneur Rick DeVos, grandson of the co-founder of Amway. At a half million dollars, it’s the largest cash prize for art in the world and is awarded by popular vote. After more than 334,000 votes were cast, Ortner’s Open Water No. 24 won the $250,000 first-place prize out of 1,260 works. Before winning the prize, Ortner had been struggling to get by, sometimes borrowing money to pay his bills. She could not look lovelier. However, the above image of a model named Tica is not a photograph, but a painting. The incredible likeness was created by US-based airbrush artist Dru Blair and took more than 70 hours of painstaking work using ultra-thin lines of paint. He uses mini spray guns to deposit fine lines of paint on a board to produce the lifelike pictures—right down to skin pores.